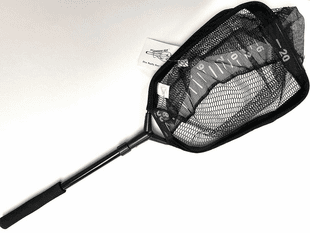 Fishing nets are an asset in a wide range of fly fishing situations. The Caddis Fly Shop has a substantial inventory of fishing nets, so we can provide any net - especially including catch and release nets. 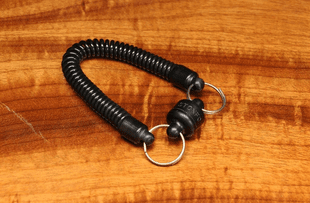 The Caddis Fly Shop offers many free shipping options and no sales tax. 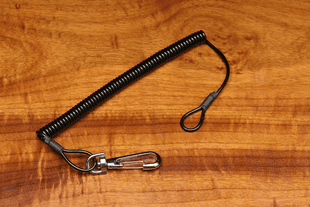 Allow us to be your single source for your fly fishing and fly tying material needs. 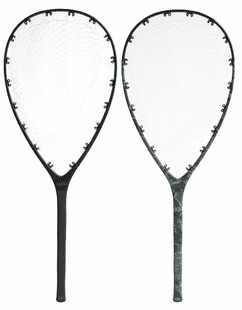 Catch and release nets � Keep �em wet. Our goal is to reduce fish-handling stress when we are catch and release fishing. A good net constructed of materials less likely to injure the fish is one of our most effective tools that allows us to control the fish and release it under the least stressful conditions. 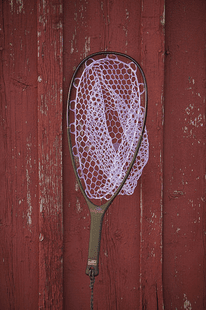 Nets nowadays are being made with materials that are much less stressful to fish, and the Caddis Fly only stocks high quality, fish-safe fishing nets. Selecting the most appropriate net. The answer depends on the type of fishing you engage. If you target larger species like bass or steelhead, you need a larger net to accommodate the size of the fish. If you target trout, a smaller basket will be just fine. The next question is always about the length of the net handle. Typically, if you are fishing out of a boat, you want a net with a long handle so you can reach better. If you do more walk & wade fishing, a shorter handle is perfect. 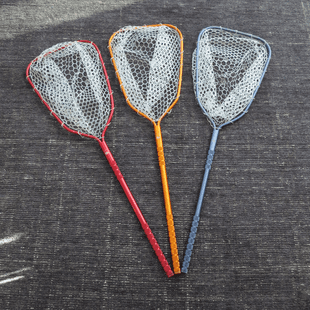 Fishpond Nomad Nets: The top of the line. 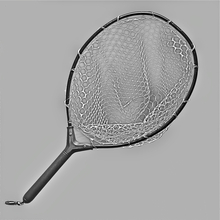 This is probably the highest quality angling net on the market today. All of our guides use this net, whether they are on the Mckenzie River in Oregon or the Makorora River in Central Otago, New Zealand. 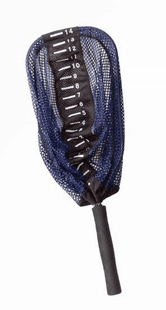 The net shaft is incredibly durable, it floats, and it is waterproof so water won't break it down over time. 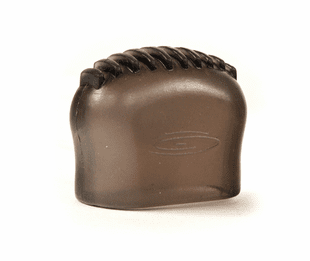 It is also lightweight and easy to grip. 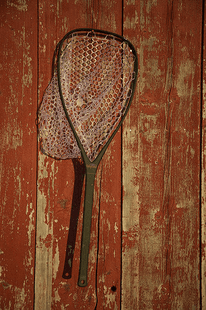 The net itself is a gentle rubber that is great on fish. 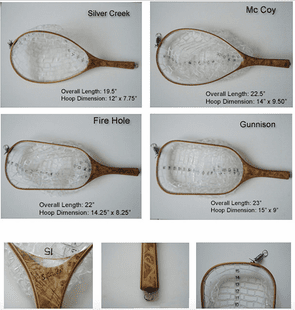 Nomad nets come big and small, long and short-- see all of the options below. This is the kind of net you purchase and have for life. 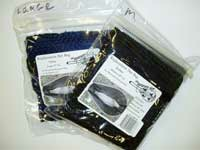 Rising Aluminum Net: An aluminum net with a "ghost bag" which is very gentle on fish. The aluminum is grooved on the shaft for increased grip. 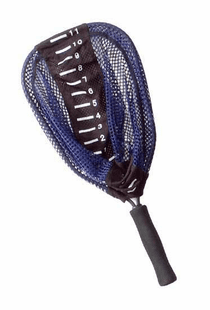 The Measure Net: Affordable and top quality; this is a very popular net in our area. 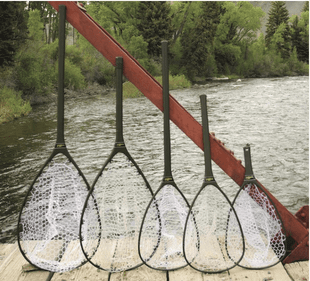 The measure net comes in all shapes and sizes, so be sure to check out all of the options below. 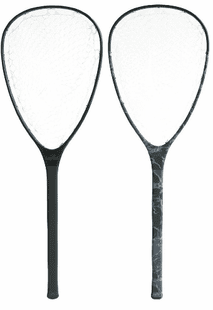 Some measure nets are Telescopic, so they quickly go from a short shaft to a long shaft. The other cool feature of the measure net is that you can purchase new bags for the net. 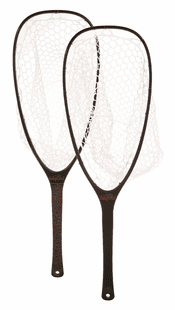 Below you will see all of of our nets in stock at the Caddis Fly Shop.